Online retailer Rice Digital has announced the release of a collector’s edition for Steins;Gate 0 for the PS Vita and PS4. 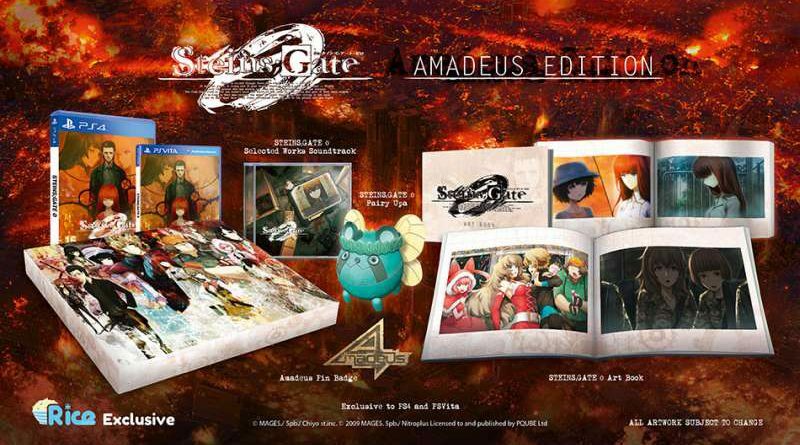 The “Amadeus Edition” is available for pre-order via Rice Digital’s online store (US: PS Vita/PS4, EU: PS Vita/PS4) and may release shortly after the Standard Edition due to manufacture times. Steins;Gate 0 is the sequel to the critically acclaimed Steins;Gate and features an all new adventure in alternative world line, where Okabe and the Future Gadget Lab members have to team up with a bright young scientist who has an interesting new AI project (codename Amadeus) and become entangled in a new scheme. Steins;Gate 0 will be released for the PS Vita and PS4 in North America and Europe in 2016.